Are you looking for coffee shop master franchise opportunity in Taiwan? If yes then you need to give a break to your research and have a look at BrewBakes coffee shop master franchise business plan. We are offering coffee shop master franchise opportunities in Taiwan for those business minded people who are very passionate about doing their own businesses with low investment. We are India’s leading coffee shop franchise chain. We have an esteemed position in Indian food café and coffee shop business industry. We have established our various outlets in various cities and towns across India. With successful presence in India, we are not aiming to cater to international markets. Hence, we are looking for a master-franchisee in Taiwan who can continue our success of our coffee shop franchise business in Taiwan. Why BrewBakes Coffee Shop Master Franchise in Taiwan? Taiwan, officially the Republic of China, is a small island nation and independent entity in East Asia. The land of this island national is known for its strong economy, modern cities, hot springs resorts, traditional Chinese temples, and dramatic mountainous terrain. This small island national has witnessed rapid growth and quick industrialization. It is the seventh largest economy in Asia. Because of its strong economy, it is also one of the “Four Asian Tigers” together with South Korea, Singapore, and Hong Kong. It has been included in advanced economic group by the International Monetary Fund. It is also gauged in the high-income economies group by the World Bank. Taiwan economy ranks the highest in Asia for 2015 GEI (Global Entrepreneurship Index) for specific strengths. There are various businesses and industries including agriculture, manufacturing, tourism, services, banking & finance, technology, electronics, IT products, vehicle, pharmaceuticals, vehicles, chemicals, cement, machinery, communication products, food processing, etc which are flourishing well and contributing significantly to Taiwan economy. In fact, the country offers perfect business climate and excellent infrastructure for the growth and life of a business. Hence, in this country, BrewBakes coffee shop master franchise business can also thrive well. Taiwan’s most government-owned banks and industrial firms have been privatized. Now family-owned businesses have been the streamlined economic factors in the country. If you too are a business-minded person and looking for business opportunities, then BrewBakes coffee shop master franchise opportunity in Taiwan can be the best fit for your specific requirements. 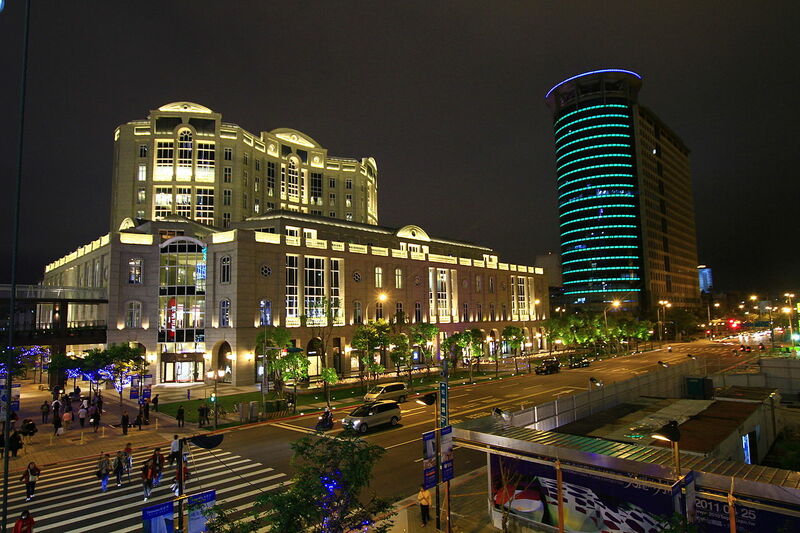 Taiwan is also known for Information Technology services and products as well. It has played vital role in the global IT market over the last 20 years. The country is also known for electronics industry. There are also many renowned R&D centers, making Taiwan the research and development hub of Asia-Pacific Region. You will amaze to known that 20 of the top information and communication technology companies have their international offices set up in Taiwan. Semi-conduction industry is also a part of developed IT industry in Taiwan. There are many companies known for IC manufacturing, design and packing. Taiwan Semiconductor Manufacturing Company is a worldwide renowned company. People from different countries work here in different companies. Working professionals can be a profitable customer base for coffee shop establishments. In fact, the economy of Taiwan is the single main factor that ensures for success and life of BrewBakes café master franchise business. Foxconn, Pegatron, Quanta Computer, Cathay Life Insurance, Taiwan Semiconductor Manufacturing, Aerospace Industrial Development Corporation, Arphic Technology, ATEN International, Bank of Taiwan, Bank SinoPac, Bit Corporation, Chi Mei Corporation, China Airlines, Chingwin Publishing Group, Chunghwa Telecom, CPC Corporation, CTBC Bank, CSBC Corporation, CyberLink, D-Link, Elitegroup Computer Systems, Evergreen Marine, First International Computer, HannStar Display Corporation, Holtek, Hotai Motor, HTC Corporation, Insyde Software, KWorld, MStar Semiconductor, Powerchip Semiconductor, Regent International Hotels, SilverStone Technology, SYM Motors, Taiwan International Ports Corporation, Taiwan Fertilizer, Taiwan Financial Holdings Group, Taiwan Tobacco and Liquor Corporation, TransAsia Airways, TransAsia Airways, etc are notable firms from various industries of Taiwan. There are also various science & industrial parks, research & development centers, and educational institutions in Taiwan which also creating favorable things for coffee shop startups. Major institutions and science & industrial parks are Hsinchu Science Park, Taiwan Semiconductor Manufacturing Company, United Microelectronics Corporation, Industrial Technology Research Institute, Southern Taiwan Science Park, Tainan Science Park, Kaohsiung Science Park, Central Taiwan Science Park, Optoelectronics, Linhai Industrial Park, Changhua Coastal Industrial Park, Neihu Science Park, Nankang Software Park, Tainan Science Park, Taiwan Institute of Economic Research, Taiwan Livestock Research Institute, Chung-Hua Institution for Economic Research, etc. Taiwan is also known for vehicle and automotive industries. Some noteworthy automakers are Hotai Motors & Kuozui Motors (Toyota vehicles), Yulon Motors, Yulon Nissan Motors, China Motor Corporation, Chin Chun Motors, Ford Lio H, Honda Taiwan, Her Chee Industrial, Prince Motors, San Yang, Formosa Automobile, and Ta Ching Motor Co. Tourism is also a factor for growth and success of coffee business startups in Taiwan. There are numerous tourist destinations and lots of attractions which appeal tourists from different parts of the world. The high influx of tourists can be increase traffics to coffee shops and maximize the revenue & sales. We at BrewBakes are offering coffee café shop franchise opportunities in Taiwan and inviting those passionate people from its different cities who are looking for business opportunities in Taiwan which can be started with minimum capital investments. We offer franchise opportunity across Taiwan, however we preferred city areas because these areas are frequented by working professionals, tourists and local residents as well. Hence, cities can be ideal locations for coffee shop establishments. Major cities and metropolitan areas in Taiwan include Taipei (the capital city of Taiwan), Hsinchu City, New Taipei, Taipei–Keelung metropolitan area, Kaohsiung metropolitan area, Taichung–Changhua metropolitan area, Taoyuan–Zhongli metropolitan area, Tainan metropolitan area, Hsinchu metropolitan area, Chiayi metropolitan area, etc. For more details about franchise models and coffee shop master franchise business opportunity in Taiwan, contact us today. Call now: +91-7838938556, 011-22755534 / 43016140. Grab this opportunity and become your own boss.